Hey Coffeeholics! 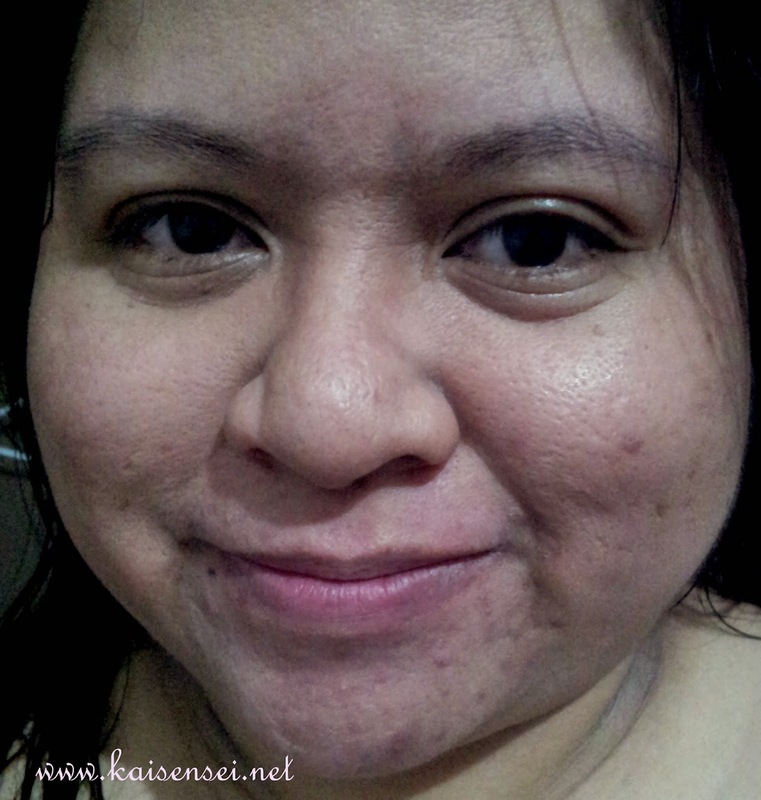 Yes its that time again to share to you my latest update about my war against Acne. Unfortunately this last month has put a toll on me and my skin. Lack of sleep and stress at work (a teacher's work at the end of the quarter is NOT easy.. aka report cards) has taken its toll on my face. 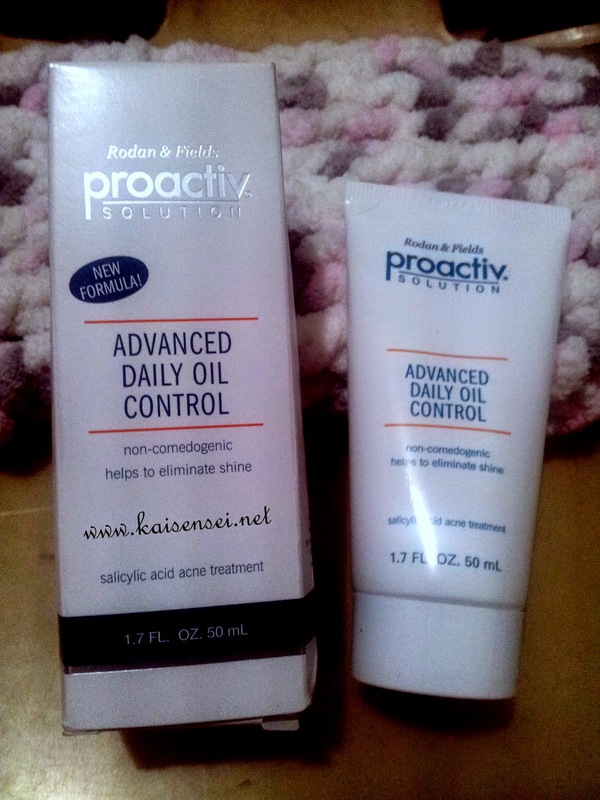 But the good news is, Proactiv sent me something to try out -- the Proactiv Advanced Daily Oil Control. But before I share more on that, let me tell you the other half of the good news that Proactiv has for us. They have a promo right now which started last July 15 and will end this December 31, 2014. 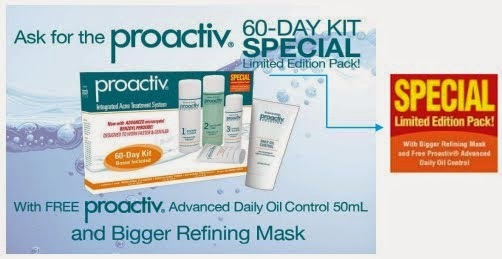 The promo is that whenever you buy the Proactive 60-Day Kit Limited Edition pack, you get an an upsized Refining Mask (from 1oz to 2.5oz) and a FREE Proactiv Advanced Daily Oil Control at 50ml all for the same price of Php 3,995 only. 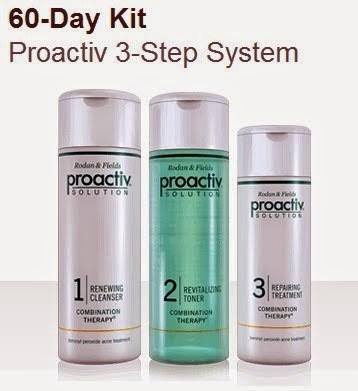 What is the Proactiv 60-Day Limited Edition Pack? Control 50ml - all for the same price of Php 3,995 only. may be non-promo packs or dummy boxes only. So I guess you're probably wondering what's the big deal with the Free Proactiv Advanced Daily Oil Control (50ml). Well according to Proactiv, the Proactiv Advanced Daily Oil Control is designed to absorb excess oil to help give a more mattified appearance while helping to assist the skin in the fight against acne. This lightweight, oil-free moisturizer helps the skin to remain soft, smooth and hydrated without looking or feeling greasy, giving way to a more satiny, flawless looking complexion. It helps control excess oil throughout the day to keep skin from shining and makeup from streaking, and gently balances the skin while keeping your skin hydrated and healthy looking. 1. Apply daily or as needed onto clean skin. 2. Use fingertips to gently apply a thin layer to the entire face. 4. For best results, use after Repairing Treatment. 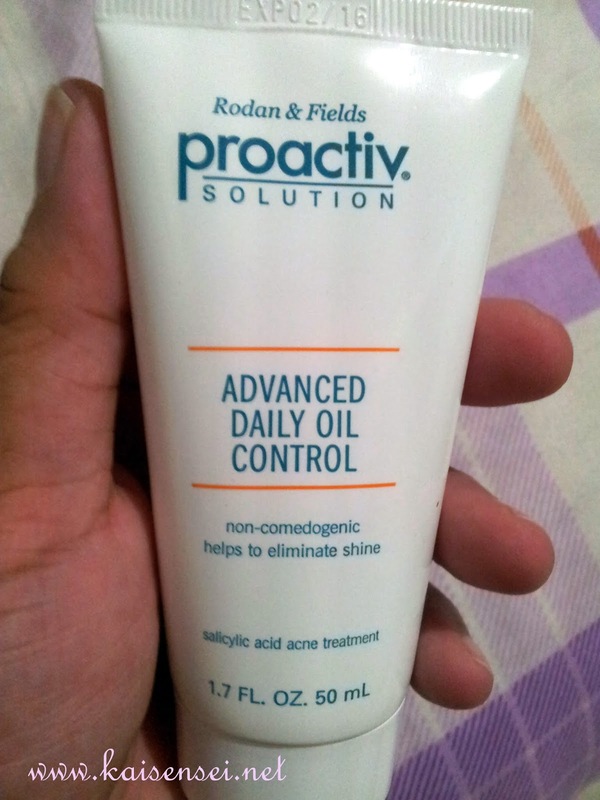 So of course, since I've been dealing with my oily face like forever -- I really was thrilled to try out the Proactiv Advanced Daily Oil Control. Finding the right moisturizer for my oily face is tough as it is already. The only apprehensions that I have with "Oil Control" moisturizers was that it would dry out my face. 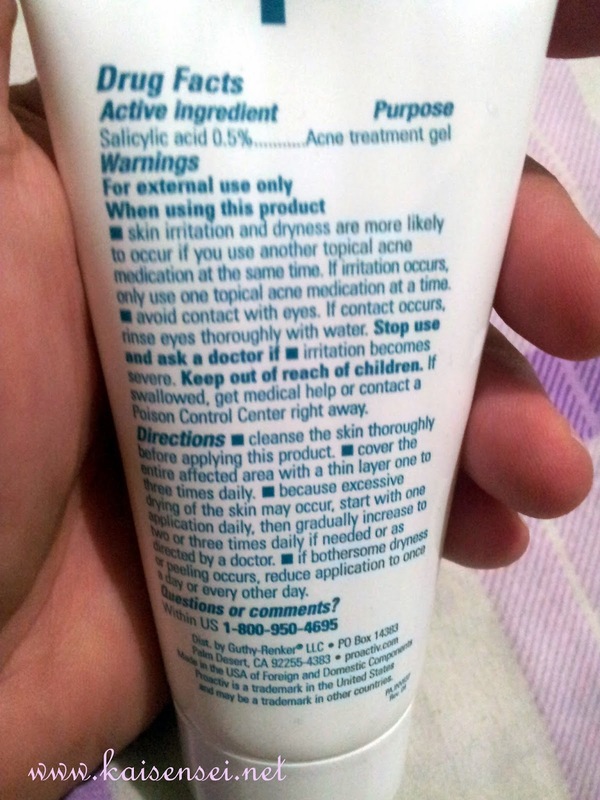 The directions on the back of the product mentioned to cover the entire affected area with a thin layer one to three times a day. With this in mind, I decided to test the product not on my whole face but to my oily zone which was the upper lip and chin area. Most of the oily face issue I have is on that area and my forehead. But the acne warzone was basically the mouth area and I wanted to target that. Also for the first time to test it, I decided to try it out at night. Since you can actually apply the product three times a day, I wanted to see how it worked at night (yes.. even at night guys.. my oily issues does not go away!) and later on try it on during the day with makeup on. So the following photo was 2 hours after I washed my face and put some of the Proactiv Advanced Daily Oil Control on my face. DID NOT HAVE any of the Proactiv Advanced Daily Oil Control. I also tried the product for several days, and it does its work. I tried up to 2 times a day application and I even noticed that some of my pimples dry up faster (many thanks to the salicylic acid acne treatment). If you have a lot of acne and don't wear makeup, but want to avoid having a shiny face -- then this product is definitely for you! If you wear makeup, don't worry. It doesn't dry up the skin (it targets the acne only believe me) and it makes your makeup last a bit longer because of the less oil buildup. :) Yay! So definitely, this is a great product to have with your Proactiv 60-day Product Kit.